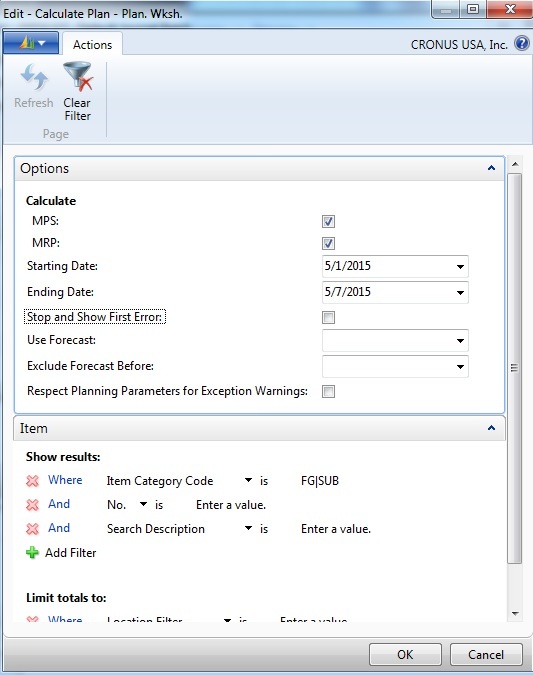 On the previous article about Dynamics NAV Manufacturing planning, we discussed about setting up your items to calculate the MPS requirements based on the sales forecast. With the MPS, it allows us to create what raw materials we need to purchase for the months to come. As emphasized in the previous article, every company makes purchase orders out of some type of sales forecast. For almost every industry, forecasting is an art, not a science. After the Planned Production Orders (PPO) are created for the Finished Goods (FG) and Sub-assemblies (SUB), we will be able to start making purchase orders for raw materials based on the demands from these Planned Production Orders. To do this, you will need to go to the Planning Worksheet and run the Calculate Regenerative Plan. Put our Starting Date and Ending Date 60 days out or whatever you’re lead time is for your raw material item. This will capture everything you need to purchase now in order to fulfill the raw material requirements. We will also want to run our planning for items that’s categorized as Raw Materials (RM). Since we did not enter in the forecast numbers into our Sales Forecast (we forecast on the finished goods that drives the raw materials), it really doesn’t matter if you include forecast or not. 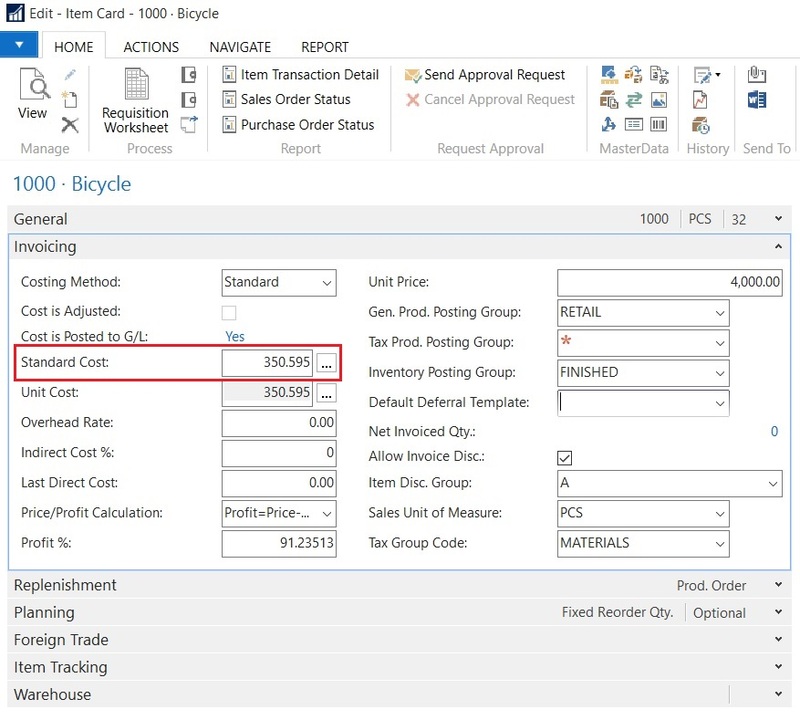 When the planning worksheet is populated, depending on your settings on the Replenishment and Planning FastTab, it will recommend the purchase orders you need to create by a certain date. NOTE: Setting the Replenishment and the Planning FastTabs on the item card is an art/science of its own. This will be a good topic for a separate blog article. The weekly plan should be ran based on the actual sales orders that are requiring the goods. Every day, your company will receive sales orders for your manufactured goods. Your items typically have some lead time, either 1 day or 3 days or whatever days. We will use the planning worksheet to calculate all the sub assemblies and finished goods we need to make to satisfy the sales orders. 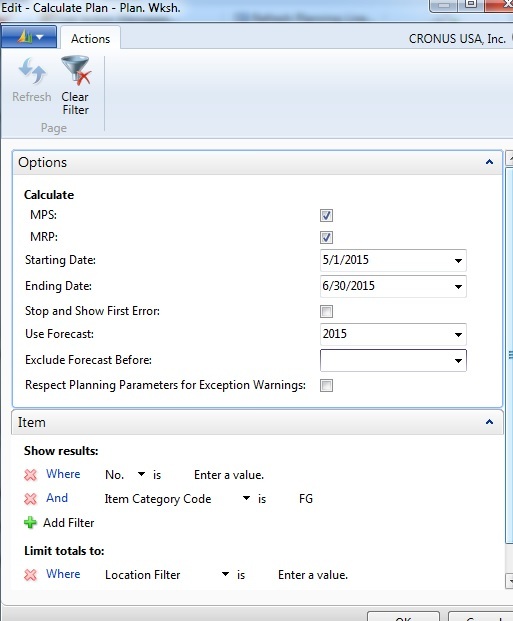 When you run your Planning Worksheet, click on Calculate Regenerative Plan. Set your Starting Date and Ending Date to 1 week. 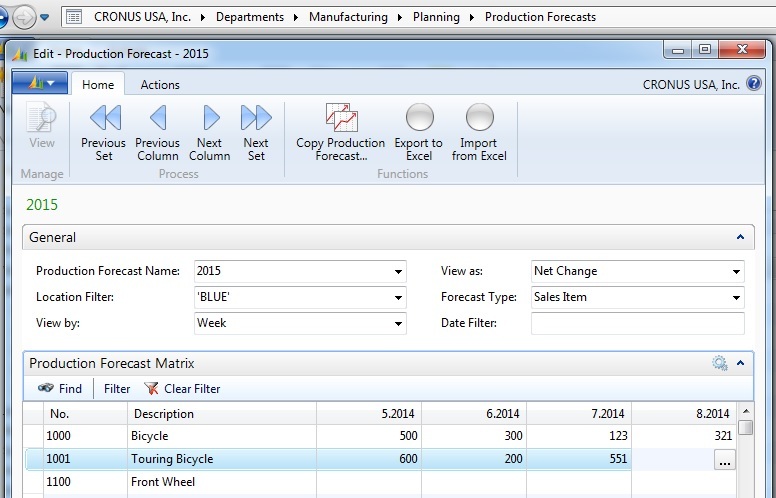 Make sure the Use Forecast is left blank. The reason is because we are no long using forecast to build our finished goods. We’re only building what we need to ship. After the production manager reviews the suggestions made by the planning worksheet, he or she will create a Firm Planned Production Order (FPPO). From the FPPO, each FPPO can be released to the production floor as needed. Some companies run the weekly plan every day to incorporate any changes in their actual demand. I suspect you will need to have an internal meeting to figure out what makes sense. NOTE: When you run your weekly (or your production cycle) plan in the planning worksheet, it will delete any outstanding Planning Production Orders. So make sure to re-calculate the regenerative plan based on the forecast when you need to make new or change purchase requirements. 3. 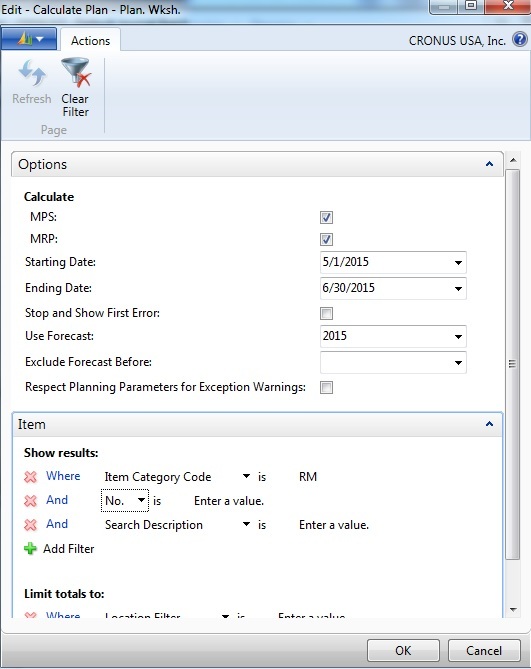 Buyers calculate buying plan for RM items based on the FG and the SUB items that are created in the PPO.